After all the years of shooting where you just keep moving on to the next project, I thought it might be time to look through the archive. To see if there were things that I shot that I wasn’t even aware of at the time of their value. Time to revisit the contacts, the film and Polaroids to find some jewels that I overlooked a long time ago. 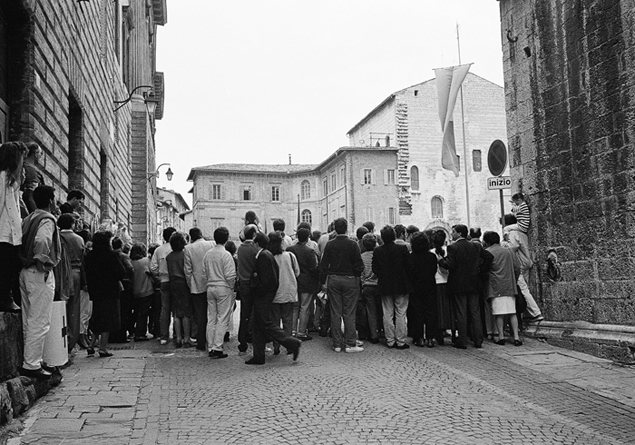 This shot was from a Fascist Rally in Florence back where we were studying Art History there. It was in the Piazza in front of Palazzo Davanzati. If you find yourself in Firenze, this Palazzo is worth a look. It is amazingly restored and an incredible example of how the merchant class lived during the Renaissance.